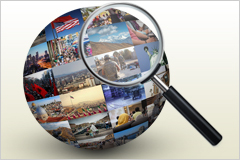 The new online course aims to help researchers engage with public policymakers. 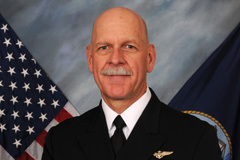 Adm Scott H Swift, former commander of the US Pacific Fleet, joins the MIT Center for International Studies (CIS) as a Robert E Wilhelm Fellow. Swift arrives at MIT on August 1, 2018. He retired from the US Navy on July 1, 2018. “China Steps Out tracks the important shifts in China’s diplomacy, including the increased weight Beijing places on political and economic relationships in the developing world..."
The Center announces today the third Call for Proposals from the International Policy Lab (IPL), which helps MIT faculty develop the policy implications of their research and thus better inform the global policymaking community. In the aftermath of World War II, the Allied intent to bring Axis crimes to light led to both the Nuremberg trials and their counterpart in Tokyo, the International Military Tribunal of the Far East. 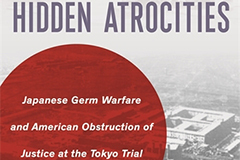 Hidden Atrocities, a new book by Jeanne Guillemin, goes behind the scenes at the Tokyo Trial to reveal the American obstruction that denied justice to Japan’s victims. The MIT International Policy Lab (IPL) sent representatives to participate as observers to the first Conference of Parties (COP-1) to the Minamata Convention on Mercury, through a delegation led by co-faculty director Noelle Selin. 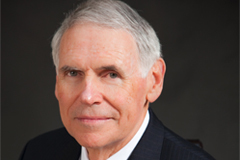 James E Baker, former chief judge of the US Court of Appeals for the Armed Forces, will use his one-year fellowship at MIT to conduct research on emerging technologies and national security challenges. 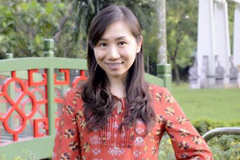 Audrey Jiajia Li, a freelance journalist and independent filmmaker based in Guangzhou, China, will use her fellowship to study the use of government propaganda on social media and its impact on the rise of ultra-nationalism in China. M. Taylor Fravel, associate professor of political science and member of the Security Studies Program at MIT, will become acting director of the MIT Center for International Studies while Richard Samuels is on sabbatical leave. 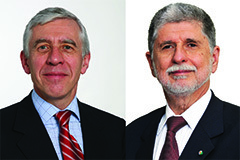 The Center’s signature public event series, the MIT Starr Forum, is featuring talks with former foreign secretaries: April 6 with Jack Straw of the United Kingdom and April 12 with Celso Amorim of Brazil. R. David Edelman comes to MIT after serving six years in the White House and distinguishing himself as one of the US government’s foremost voices on how technology is changing our economy, national security, and daily lives. The digital systems that control critical infrastructure in the United States and most other countries are vulnerable to attack. 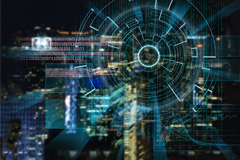 This report identifies the most strategic of these challenges and proposes a policy and research agenda that has the potential to achieve significantly higher levels of security in critical networks. 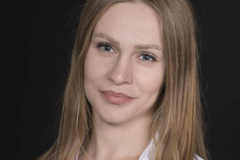 Jacey Fortin, a freelance journalist who is based in Africa, has been selected as this year’s Elizabeth Neuffer Fellow. 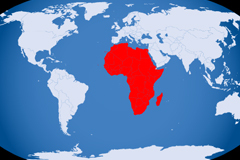 She has covered human rights, politics, economic development, and media freedom in the Horn of Africa. She has reported on the civil war in South Sudan, militancy in the Democratic Republic of the Congo, and violent unrest in Ethiopia. 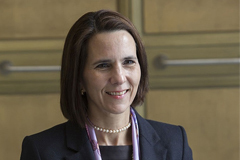 Mexico's former deputy secretary of energy for hydrocarbons, Lourdes Melgar, has been named a Robert E. Wilhelm Fellow. Melgar played a key role in the design and implementation of Mexico's historic energy reform. Her work has begun to transform Mexico's energy sector into a modern and competitive environment. 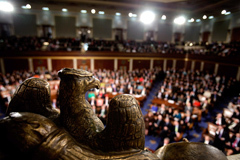 Barry Posen has been appointed the next Henry A. Kissinger Chair in Foreign Policy and International Relations at the Library of Congress John W. Kluge Center. Posen will use the residency to study the implications for the United States of a multipolar international order. The Emile Bustani Middle East Seminar at MIT is celebrating its 30th anniversary this academic year. 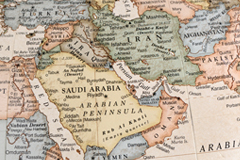 This spring semester it will host two lectures on contemporary Middle East affairs. 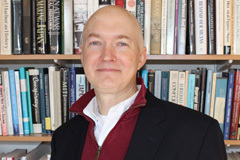 The Center is pleased to announce the appointment of Dr. Eric Heginbotham, one of this country's foremost political-military analysts of East Asia, to the post of principal research scientist. 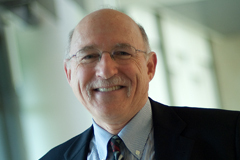 Heginbotham comes to MIT from the RAND Corporation, where he was a senior political scientist for 10 years. 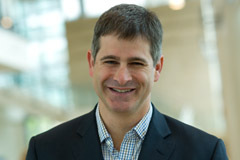 He earned his PhD at MIT in 2002, winning the Lucian Pye Award for the best doctoral dissertation in the Department of Political Science that year. MIT announces today the first call for proposals from the International Policy Lab (IPL), a new program working to enhance the impact of MIT-sponsored research on public policy. 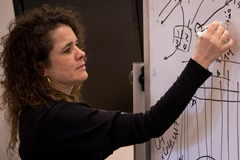 The Center launched IPL last year in recognition of the growing need for science and engineering to inform public policy, with seed funding from the Office of the Provost; Dean of the School of Humanities, Arts and Social Sciences; and its own budget. Meera Srinivasan, formerly a senior assistant editor with The Hindu, has been selected as the 2015-16 IWMF Elizabeth Neuffer Fellow. 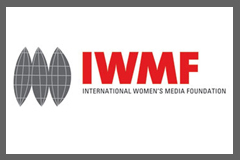 The award is offered through the International Women's Media Foundation (IWMF) and is sponsored in part by CIS. Srinivasan is the 11th recipient of the annual fellowship, which gives a woman journalist the opportunity to develop expertise while focusing on human rights journalism and social justice issues. 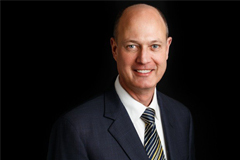 Paul Heer, a recent National Intelligence Officer for East Asia, has been named a Robert E. Wilhelm fellow. 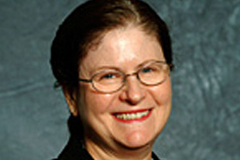 Dr. Heer will arrive to MIT in September 2015 and will be in residence at CIS for the 2015-2016 academic year. He will spend his time at MIT researching and writing on US relations with East Asia, both contemporary and historical, and Chinese political and foreign policy developments. 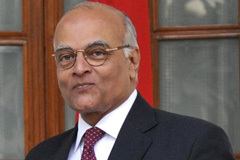 Shivshankar Menon, a former national security advisor of India, has been named a Robert E. Wilhelm Fellow. The Indian diplomat will be at CIS for one month beginning February 3, 2015. 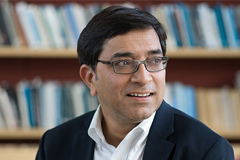 During his time at MIT, Menon will be working on a history of India-China relations. He also will meet with faculty and students to discuss regional issues. 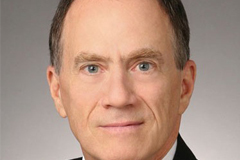 Joel Brenner, former inspector general and senior counsel at the National Security Agency (NSA), has joined the MIT Center for International Studies (CIS) as a 2014–2015 Robert E. Wilhelm Fellow. 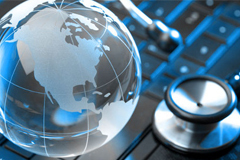 Brenner specializes in cyber and physical security, data protection and privacy, intelligence law, the administration of classified information and facilities, and the regulation of sensitive cross-border transactions. Calestous Juma, Dr. Martin Luther King, Jr. 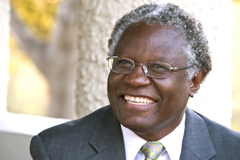 Visiting Professor at MIT, received an LAAP Prize (Lifetime Africa Achievement Prize) for his leadership in socioeconomic development in Africa. The award will be presented to Juma in Nigeria on October 10, 2014, by the Millennium Excellence Foundation. Juma, a research affiliate at CIS, is among 16 recipients of this year's esteemed award. High-ranking African leaders in science, technology and innovation will gather at MIT on Sept 23 and 24 to explore areas for mutual cooperation. The visit is a reflection of the rising interest among African countries in putting science and technology at the center of their development process. As part of their visit, the African leaders will participate in a Starr Forum event "Africa Rebooted: Science Technology, and Innovation in Development." 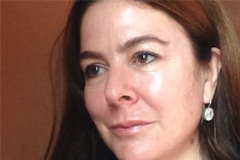 Louisa Reynolds, an independent journalist based in Guatemala City, Guatemala, has been selected as the 2014-15 IWMF Elizabeth Neuffer Fellow. Reynolds is the tenth recipient of the annual fellowship, which gives a woman journalist the opportunity to develop expertise while focusing on human rights journalism and social justice issues. 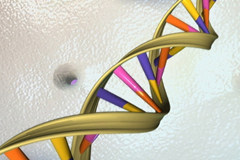 Environmental scientists and synthetic biologists have for the first time developed a set of key research areas to study the potential ecological impacts of synthetic biology, a field that could push beyond incremental changes to create organisms that transcend common evolutionary pathways. 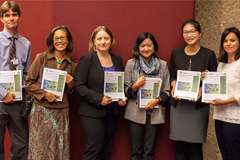 The Synthetic Biology Project at the Wilson Center and the Program on Emerging Technologies at CIS convened the interdisciplinary group of scientists and are releasing the report, Creating a Research Agenda for the Ecological Implications of Synthetic Biology. The work was funded by a grant from the National Science Foundation (NSF). 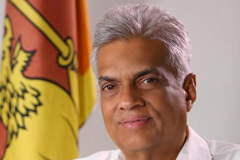 Ranil Wickremesinghe has been named a Robert E. Wilhelm Fellow. 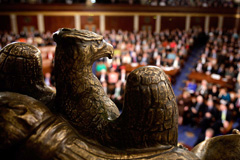 The Sri Lankan politician and current leader of the Opposition in the Sri Lankan parliament will be at CIS for one month beginning April 8, 2014. 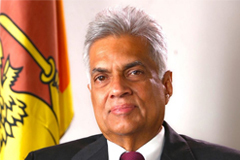 Wickremesinghe was prime minister of Sri Lanka twice, from May 7, 1993 to August 19, 1994, and from December 9, 2001, to April 6, 2004. 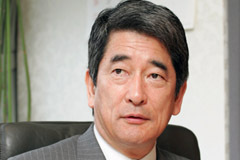 A member of the United National Party, he was appointed party leader in November 1994. During his time at MIT, Wickremesinghe will study how to formulate a constitution sans an executive presidency. He also will work with faculty and students interested in Asian regional issues. 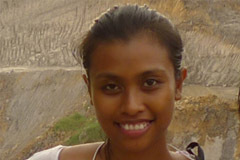 Prodita Sabarini, a Jakarta-based journalist, has been selected as the 2013-14 Elizabeth Neuffer Fellow. The award is offered through the International Women's Media Foundation (IWMF) and is sponsored in part by CIS. 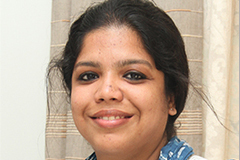 Sabarini will spend the seven-month fellowship as a research associate at CIS. She also will complete internships at The Boston Globe and The New York Times. A staff reporter for the English daily, The Jakarta Post, she plans to research the phenomenon of religious intolerance in Indonesia during her tenure as the Elizabeth Neuffer Fellow and wishes to explore the factors that turn people's fear into acts of violence. 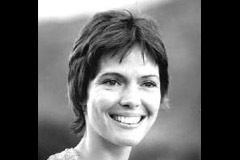 Sharon Stanton Russell, 68, died peacefully on February 27, 2013, after a prolonged illness. 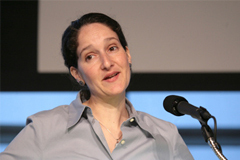 A prominent and pioneering academic in the field of international migration who advised governments around the world, Sharon was a senior research scholar at the Center for International Studies at MIT. 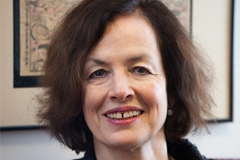 She also served as director of the Mellon-MIT Inter-University Program on Non-Governmental Organizations and Forced Migration from 1997 to 2005 and as chair of the Steering Group of the Inter-University Committee on International Migration from 1999 to 2005. 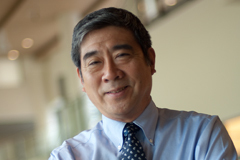 Yukio Okamoto, a former Special Advisor to the Prime Minister of Japan, has been named a 2012-13 Robert E. Wilhelm Fellow. "Yukio Okamoto brings to MIT an unparalleled set of experiences on the world stage. 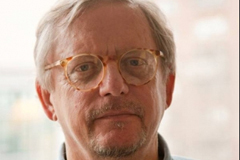 The Center is delighted to have him with us to continue his research and writing, and to work with students and faculty through the next academic year," said Richard Samuels, director of the Center for International Studies and Ford International Professor of Political Science. 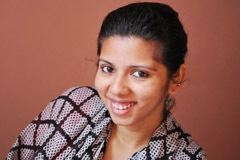 Priyanka Borpujari, an independent journalist based in Mumbai, India, has been selected as the 2012-13 Elizabeth Neuffer Fellow. 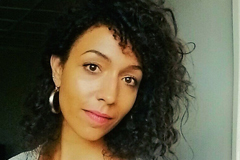 Borpujari is the eighth recipient of the annual fellowship, which gives a woman journalist working in print, broadcast or online media the opportunity to build skills while focusing exclusively on human rights journalism and social justice issues. 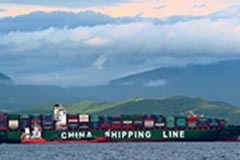 The MIT-Japan Program at the Center for International Studies is pleased to announce that it has received a grant from the Japan Foundation's Center for Global Partnership for the MIT Japan 3/11 Initiative. 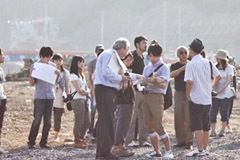 The Initiative is MIT's response to the devastating March 2011 earthquakes and tsunami in the Tohoku region of Japan. 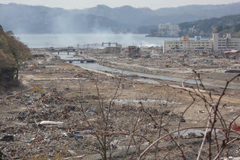 The $69,000, one-year grant will be used for planning costs connected with the creation of a symposium and a community center in Minami Sanriku, Japan, a village virtually destroyed during last year's disaster. A review paper published online in Clinical Pharmacology and Therapeutics promotes further exploration of adaptive licensing (AL) to identify serious safety issues earlier, improve the efficacy of drug therapies in use, and reduce the number of patients exposed to risks. 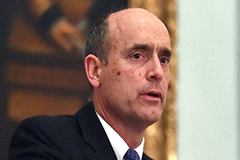 The Japanese Government announced that the Order of the Rising Sun, Gold and Silver Star, will be conferred upon Professor Richard J. Samuels, in recognition of his significant contributions to scholarship about Japan and for promoting friendly relations between Japan and the United States. Samuels is currently conducting research in Japan and will receive the decoration from Prime Minister Noda on November 7, and will be presented to the Emperor of Japan at the Imperial Palace. 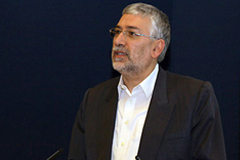 Abbas Maleki, Iran's Deputy Foreign Minister (1988-1997), joins CIS as a Robert E. Wilhelm Fellow for the 2011-2012 academic year. Maleki is assistant professor of political science at Sharif University of Technology in Tehran, director of the International Institute for Caspian Studies, and a senior associate of the Belfer Center's International Security Program. A generous gift from Robert E. Wilhelm supports the Center's Wilhelm fellowship. 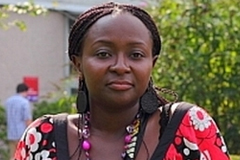 Jackee Budesta Batanda—a Ugandan journalist who has reported on the vicious acid attacks of women as "revenge crimes" and the targeted murders of albinos—has been selected as the 2011-2012 Elizabeth Neuffer Fellow. The award is offered through the International Women's Media Foundation and is sponsored in part by CIS. A group of MIT faculty from a cross-section of disciplines is mobilizing its own response to the March 11 disaster in Japan with the launch of the MIT Japan 3/11 Initiative. 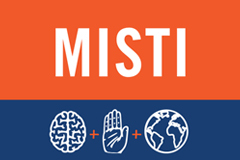 Pat Gercik, associate director of the MIT International Science and Technology Initiatives (MISTI) program at CIS is the 3/11 Initiative's program coordinator and overseer of fundraising efforts. 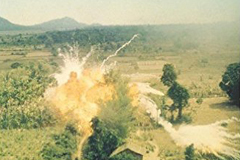 Americans are greatly concerned about the number of our troops killed in battle—100,000 dead in World War I; 300,000 in World War II; 33,000 in the Korean War; 58,000 in Vietnam; 4,500 in Iraq; more than 1,000 in Afghanistan—and rightly so. But why are we so indifferent to the far greater number of casualties suffered by those we fight and those we fight for? This is the compelling question that John Tirman answers in The Deaths of Others. 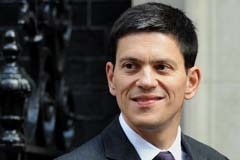 The MIT Center for International Studies announces today that Rt Hon David Miliband MP will join CIS as a Robert E. Wilhelm Fellow in Residence from April 11–April 15, 2011. Miliband was the Foreign Secretary for the United Kingdom from 2007 to 2010 and is an alumnus of the Department of Political Science at MIT. 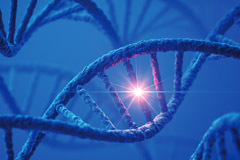 The European Medicines Agency (EMA) and the Massachusetts Institute of Technology’s (MIT) Center for Biomedical Innovation (CBI) and Center for International Studies (CIS) are launching a collaborative research project with a focus on enhancing regulatory science in pharmaceuticals. 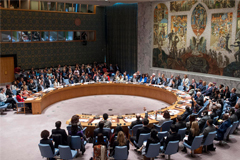 A yearlong study in six countries has found that the goals of U.N. Security Council Resolution 1325, enacted 10 years ago, have not been fulfilled and that implementation is generally poor. The U.N. itself, major industrial powers, other international organizations, and conflict states have all failed to include women in peace processes and peacebuilding, two key goals of the resolution. 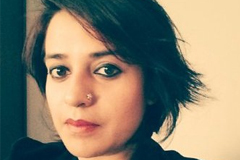 CIS announces today that Rabia Mehmood, a journalist in the Lahore bureau of Express 24/7 Television in Pakistan, has received the 2010–11 Elizabeth Neuffer Fellowship. Mehmood is the sixth recipient of the annual fellowship, which gives a woman journalist working in print, broadcast, or online media the opportunity to focus exclusively on human rights journalism and social justice issues. Carl Kaysen, MIT’s David W. Skinner Professor of Political Economy (Emeritus), passed away on February 8. His contributions to intellectual life were immense, as was his influence on national policy. He will be sorely missed. Protests, anger, controversy, arrests, evacuation—words used in the news to describe Jerusalem today. Still, MIT's Jerusalem 2050 Program seeks visions for a city of peace by mid-century through a website: www.envisioningpeace.org. 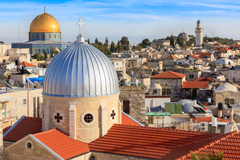 The site is loaded with interactive tools and resources to help foster dialogue, ideas, and solutions for cities of conflict, beginning with Jerusalem. 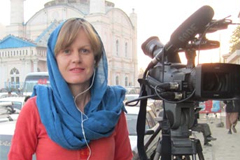 CIS announces today that Firle Davies, a journalist for the British Broadcasting Corporation, has been named the 2009–10 IWMF Elizabeth Neuffer Fellow. Davies is the fifth recipient of the annual fellowship, which gives a woman journalist working in print, broadcast, or online media the opportunity to focus exclusively on human rights journalism and social justice issues. The Israeli government should end the blockade of Gaza and negotiate with Hamas, and President Obama should engage more constructively on the Palestinian issue—including a demand to end the expansion of Israeli settlements—were among the findings and recommendations of a MIT-Harvard symposium on Gaza. 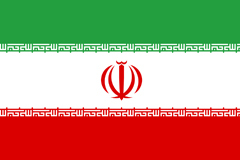 A months-long study of US-Iran relations concludes that a new diplomatic approach by the United States to transform the relationship with Iran could produce a breakthrough that will boost security and prosperity for the entire region. The 50-page document by John Tirman of the MIT Center for International Studies provides a roadmap and a rationale for the new approach. 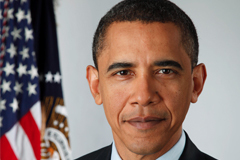 Barack Obama will be flooded with advice on the many critical matters he must face as 44th president of the United States, as will the new Congress. 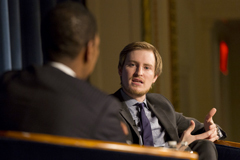 To that end, scholars at MIT's Center for International Studies (CIS) offer fresh ideas, succinctly stated, on issues ranging from security strategy to the financial crisis to human rights. Indigenous peoples have lived in the same territories for hundreds of years and attempted to preserve, generation after generation, traditional and cultural practices. 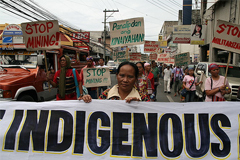 The MIT study explores 14 cases in which the land claims of indigenous societies on six continents are being contested. 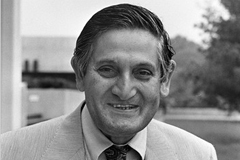 Ashutosh Varshney, a visiting scholar at CIS, was named both a Guggenheim fellow and Carnegie scholar for 2008. Guggenheim fellows are appointed on the basis of outstanding achievement and exceptional promise for continued accomplishment. 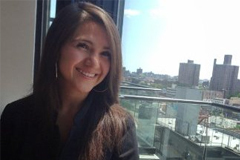 CIS announces today that Jenny Manrique, a Colombian freelance journalist, has received the Elizabeth Neuffer Fellowship. Manrique is the fourth recipient of the annual fellowship, which gives a woman journalist working in print, broadcast or online media the opportunity to focus exclusively on human rights journalism and social justice issues. Admiral William J. Fallon will join the Center as a Robert E. Wilhelm Fellow. Admiral Fallon, the former commander of U.S. Central Command and U.S. Pacific Command, will make the Center his academic home for nine months, starting August 2008. As a Wilhelm Fellow, he will collaborate with the MIT community in research, seminars, conferences, and other intellectual projects. 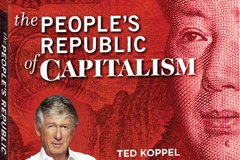 In the wake of the catastrophic earthquake in China's Sichuan province and on the eve of the Olympics this August in Beijing, Discovery Channel Managing Editor Ted Koppel presents Koppel on Discovery: The People's Republic of Capitalism, a sweeping four-part series that examines modern China. MIT’s Jerusalem 2050 Program, a joint initiative sponsored by the Department of Urban Studies and Planning and the Center for International Studies, announced today the winners of its global Just Jerusalem competition. The open contest sought proposals that addressed different aspects of urban life in a futurist Jerusalem. 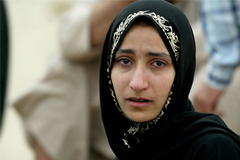 As the war in Iraq approaches its fifth anniversary, a new website from MIT's Center for International Studies aims to provide an accurate account of living conditions, as well as civilian injuries and deaths due to political violence, throughout the Middle Eastern state. 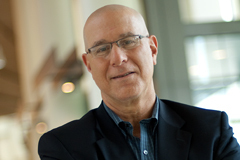 Richard J. Samuels is among five finalists for the Lionel Gelber Prize, one of the world's leading awards for books on international affairs. Samuels, director of CIS and Ford International Professor of Political Science, is nominated for Securing Japan: Tokyo's Grand Strategy and the Future of East Asia, published last September by Cornell University Press. Sally Sara, anchor and senior reporter for the Australian Broadcasting Corporation (ABC), has received the Elizabeth Neuffer Fellowship. Sara is the third recipient of the annual fellowship, which gives a woman journalist working in print, broadcast, or online media the opportunity to focus exclusively on human rights journalism. 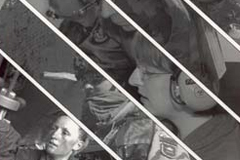 Dramatic changes are underway for the men and women of the armed forces of North America and Europe, according to a new book,Service to Country: Personnel Policy and the Transformation of Western Militaries. 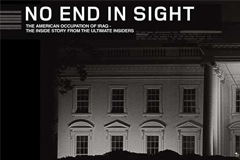 No End in Sight: The American Occupation of Iraq, a film directed by Charles Ferguson, visiting scholar at MIT's Center for International Studies, will be screened for the public in the auditorium of the Broad Institute of MIT and Harvard on Wednesday, May 2, at 6 p.m.
CIS announced today that Huda Ahmed, an Iraqi journalist who has been covering the war in Iraq for Knight Ridder, has joined the Center as its 2006-2007 Elizabeth Neuffer Fellow. The Elizabeth Neuffer Fellowship offers a female journalist the opportunity to focus exclusively on human rights journalism and social justice issues. 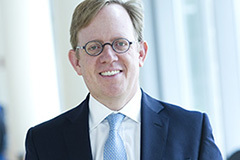 Barry Posen, Ford International Professor of Political Science at the Massachusetts Institute of Technology, assumed the directorship of the MIT Security Studies Program (SSP) on July 1, 2006. He succeeds MIT political scientist Harvey Sapolsky, who retired after 40 years of teaching at MIT and 15 years directing SSP, which is part of CIS. CIS announced today that Huda Ahmed, an Iraqi journalist who has been covering the war in Iraq for the Knight Ridder newspapers, will become the Center's second Elizabeth Neuffer Fellow. The announcement was made at the Elizabeth Neuffer Forum held on May 10, 2006. 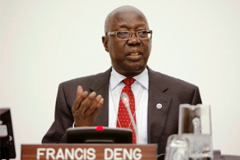 Francis Mading Deng, Research Professor of International Politics, Law and Society and Director of the Center for Displacement Studies at the Johns Hopkins University School of Advanced International Studies in Washington, D.C., joined CIS as the Center's second Robert E. Wilhelm Fellow. 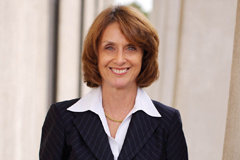 Barbara Bodine, a former career diplomat who served in 2003 as coordinator for post-conflict reconstruction for Baghdad and the central governorates of Iraq, and from 1997-2001 as U.S. 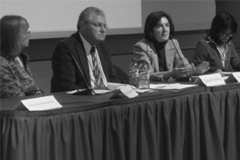 Ambassador to Yemen, joins MIT's Center for International Studies (CIS) as a Visiting Fellow on May 1, 2006. Ranil Wickremesinghe, a lawyer who was Sri Lanka's Prime Minister from 1993-1994 and 2001-2004, has begun a several-week residency at CIS. Mr. Wickremesinghe, who will have an office at CIS until early May, will likely meet with MIT students about the resolution of civil conflicts, a subject with additional saliency given the ongoing strife in Iraq. MIT's Center for International Studies (CIS), one of the leading international affairs research centers in the U.S., and AlterNet, an online project of the Independent Media Institute, have announced a unique partnership to bring the best work of academia to broader and more diverse audiences. 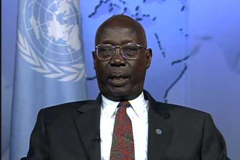 Francis Mading Deng, research professor of international politics, law and society, and director of the Center for Displacement Studies at the Johns Hopkins University School of Advanced International Studies in Washington, D.C., will join CIS on May 1, 2006, as the Center’s Robert E. Wilhelm Fellow. 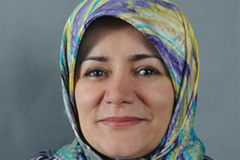 Fatemeh Haghighatjoo, a leading advocate of human rights and democracy in Iran, has joined CIS as a visiting scholar. This is the first visit to the United States for Ms. Haghighatjoo, who resigned from Iran’s Parliament in February 2004 following a crackdown on reformers. Since 1994, the Massachusetts Institute of Technology's Center for International Studies has developed of one the most successful and wide-ranging international education programs in the country, particularly among universities focusing on science and technology. Though many of us would like to think of forced labor as a practice of the past, the unfortunate reality is that millions of people are still victims of this gross human rights abuse. 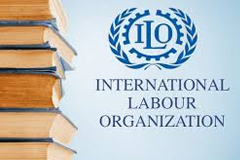 The purpose of this collaboration is to raise public awareness about the issue and to tackle some of the disagreements about forced labor, including how big a problem it is, how we should define it, and who should deal with it and how. 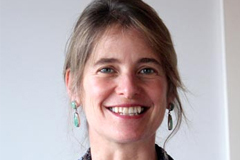 CIS announced today that Catherine Elton, a freelance journalist from the United States who has been based in Guatemala, will become the Center's first resident Elizabeth Neuffer Fellow. The announcement was made at the first Elizabeth Neuffer Forum, which was held on May 10 at the John F. Kennedy Presidential Library in Boston. Twelve years ago, the Ms. Foundation for Women launched Take Our Daughters To Work Day to draw public attention to pay and promotion gaps between men and women in the U.S. workplace. This year one of the program's founders is working through MIT's Program on Human Rights and Justice to develop new strategies for lifting orphan households out of poverty. On April 14, 2005, MIT President Dr. Susan Hockfield and Dr. Gianfelice Rocca, Chairman of Italy's Techint Group, will sign an agreement formalizing the start of an important new collaboration between MIT and the Milan Politecnico, Italy 's top engineering school. Jerusalem 2050 project, which will propose concrete plans to redesign the city by mid-century, is commencing with a major initiative to build the vision of a "city of peace" in this most symbolically important place. Jerusalem 2050 will hold an international design competition in 2007 to achieve these goals. 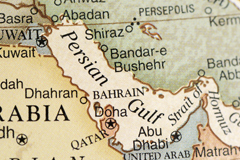 MIT's Center for International Studies is launching a multi-year series of workshops, public forums, and publications to explore urgent issues of the Persian/Arabian Gulf region. The first series, this spring, will take up the "crisis of governance" in Saudi Arabia, Iraq, and Iran.